i was just wondering if there was a way to have no defined time, until your first loop is recorded. 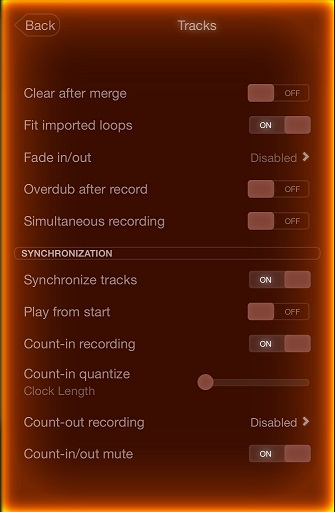 what i mean by that is i want to play my first layer on a track that starts recordinv as soon as i hit the button regardless of where the measure is.. and then stops as soon as i hit the button and then that track is now the master track for syncing purposes. i dont know if i am making sense but ill see what you guys havw to say and try to elaborate if i need to. I have Loopy HD set up exactly this way, and it is rock solid, works really well. Next, you have to reset the session so that there is no clock running (and make sure there isn't an Ableton Link or other external clock source as master clock). Your next record action will start recording the first track immediately. As soon as you end that first track recording, it becomes the master and following recordings will synchronize to that first track.